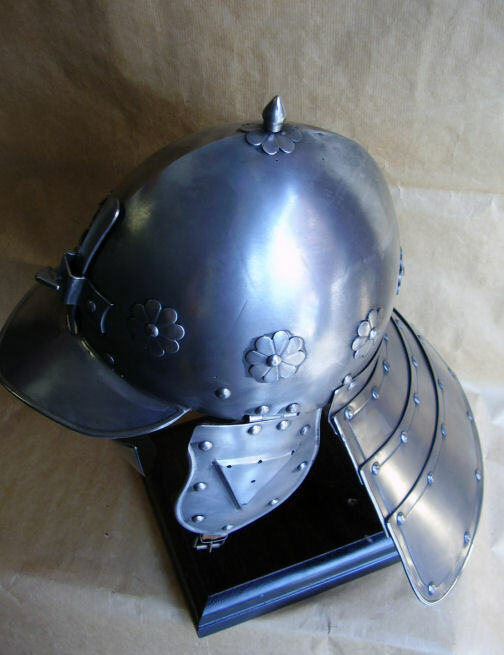 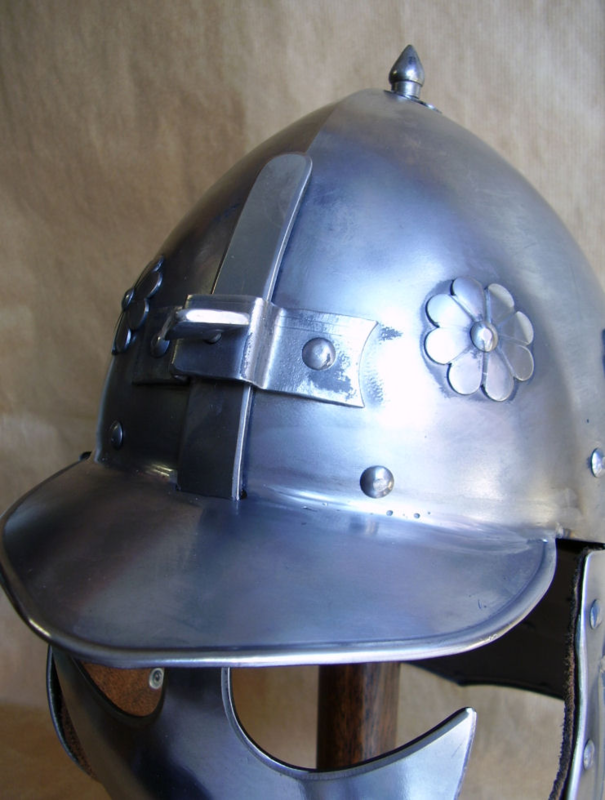 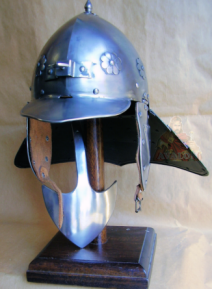 The lobster-tailed pot helmet was a type of post-Renaissance combat helmet. 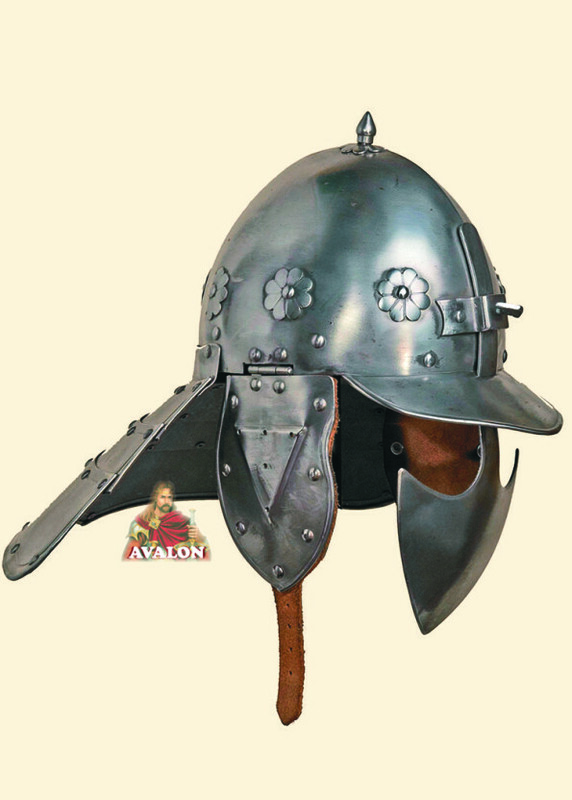 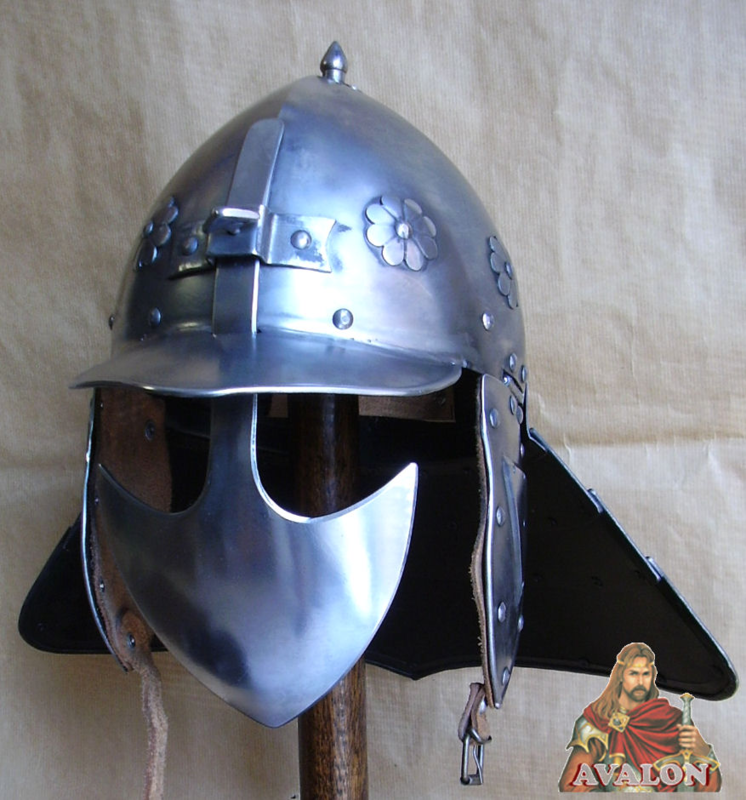 It became popular in Europe, especially for cavalry and officers, from c. 1600; it was derived from an Ottoman Turkish helmet type. 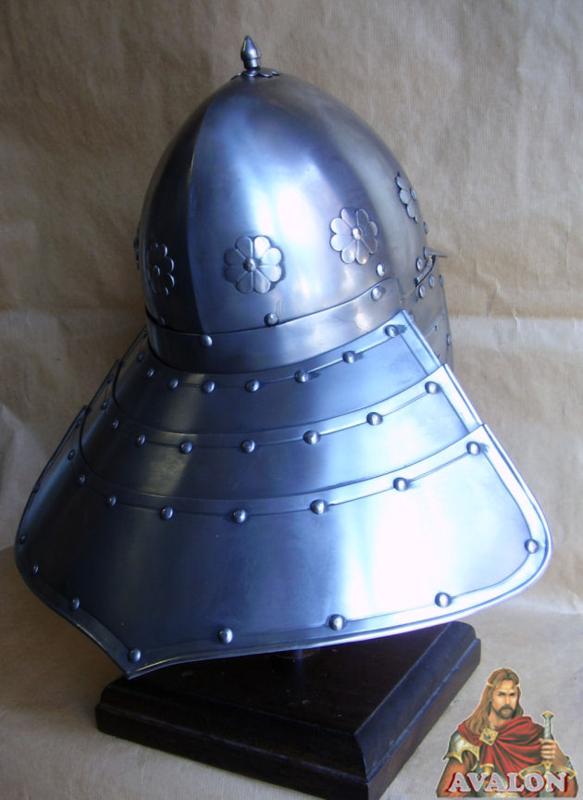 The lobster-tailed pot helmet shape is derived from that of an older helmet, the Chapel de Fer, or "Kettle Hat." 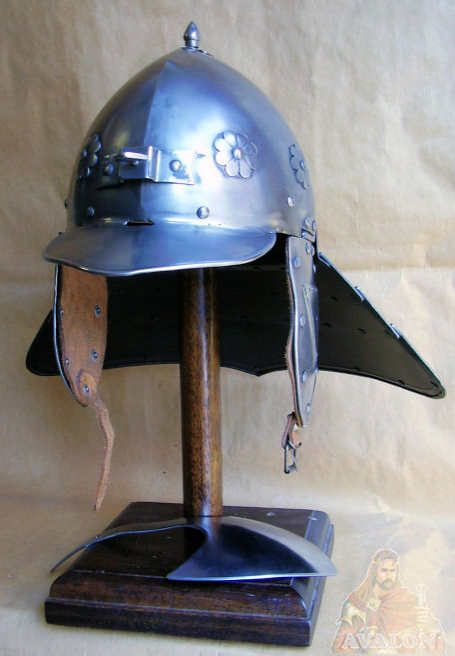 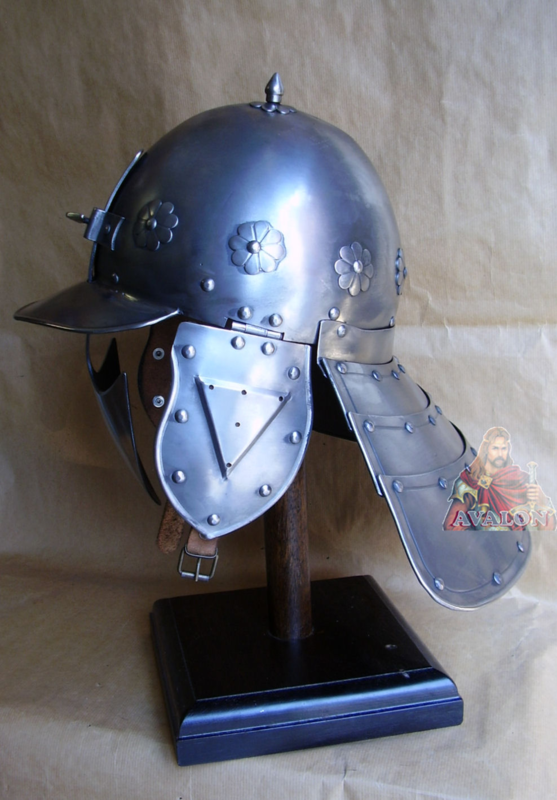 Lobster-tailed pot helmet is produced by highly skilled artisans in Italy, equipped with leather straps and external adjustable buckles to be worn.